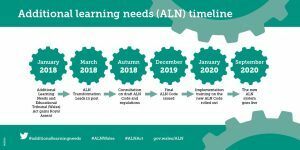 The term Additional Learning Needs (ALN) will replace the terms Special Educational Needs (SEN) and Learning Difficulties and Disabilities (LDD). Children with ALN will be supported through additional learning provision (ALP). SENCos will now be called an ALNCo (additional learning needs coordinator). There will be an emphasis on high aspirations and improved outcomes for children and young people with ALN. 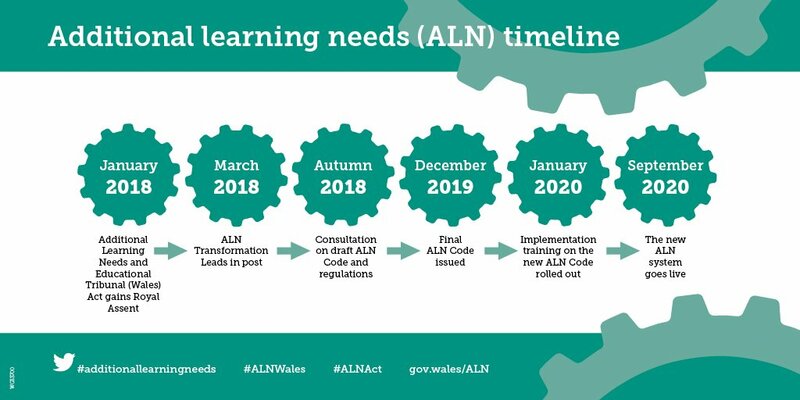 The graduated system of school action, school action plus and statements is being replaced and all children with ALN will have an Individual Development Plan (IDP). The IDP will replace IEPs, IBPs or IPPs. Most IDPs will be maintained by the school but where it is considered unreasonable for the school to do so (such as for those with more severe or complex ALN) the Local Authority may maintain them. There will be an increased participation from children, young people, parents and carers in the creation and maintenance of IDPs through person centred planning. It is hoped that closer collaboration and working together in partnership should help us to avoid disagreements. All reasonable steps will be taken to secure provision in Welsh if required. All children and young people who have an IDP will have an equal right to appeal to tribunal. If you would like to respond to the consultation about the new draft code you do not need to respond to all the questions, only those you feel are of interest or relevant to you. This is also available by following the link above. SEVEN Coleg Cambria students are among the UK elite after securing places at world-leading universities. The seven, who will start their new lives in September include Ethan Martin-Yates (Architecture), Lewis Morrin (Music), Ryan Cummings (Natural Sciences), Esther Abelian (Medicine) and Katia Allen (English) who are heading to Cambridge, while Edan Jackson (Biology) and Aleesha Sky Morgan Jones (Theology and Religion) who are heading to Oxford. The outstanding achievement of this magnificent seven – four of which are ex pupils of Ysgol Clywedog in Wrexham – follows Cambria’s record-breaking A level results last summer, when the institution achieved an overall pass rate (A*-E) of 98%, including the first cohort to ever complete exams at the £14m Deeside Sixth Form Centre. Ethan was equally surprised to receive an offer from Cambridge, and is relishing the opportunity after excelling in Maths, Music and Art, despite leaving school and transferring to Deeside Sixth Form Centre in September to complete the final year of his A levels. “I really wasn’t thinking about Oxford or Cambridge but thought I might as well apply to see how far I would get,” said the 17 year-old, from Prestatyn. Ethan added: “When I moved over to Cambria I grew in confidence, it’s a more focused environment and the staff really worked to help get me to where I wanted to be. Earlier this year, the college was lauded for it’s A level provision by ALPS, a UK-wide tool used by more than 1,600 schools and colleges to measure performance. 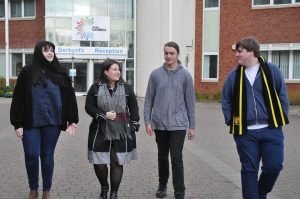 Cambria was labelled ‘Outstanding’ for distance travelled by students from GCSEs to A level grades, providing crucial added-value to youngsters leaving school to attend the leading FE provider. As a result, Coleg Cambria has been placed in the top tier of all UK schools and colleges for the progress made by learners. Alex Thomas, Head of Deeside Sixth Form Centre, said the college will continue to raise the bar for its students. “It’s fantastic to see these seven students reach such a high level and sets a benchmark for others wanting to attend these two world class universities,” he said. 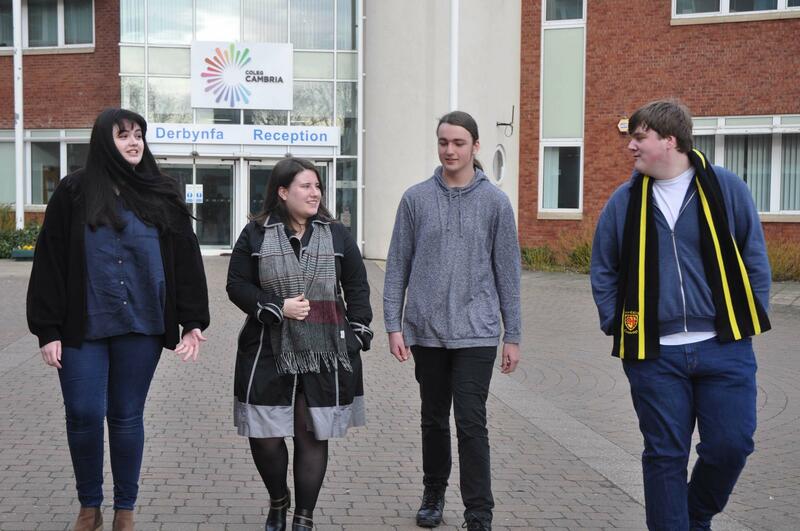 “The journey of all Coleg Cambria learners from GCSEs to A level exams is paramount to us, not just academically but in terms of their health and wellbeing, the support they receive and the contribution we make to our community. An Ysgol Clywedog blazer in navy with blue braiding. An optional navy Ysgol Clywedog jumper and a new style tie. These would replace the current sweatshirt and tie. Change the supplier to one with a store in Wrexham for ease of fitting and buying. Reduce the cost of the PE kit, but allow the new kit to be phased in as current kit wears out. Keep the current white shirt and black legwear to reduce costs. Allow a wider range of black footwear. 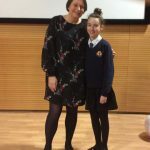 Student ambassador, Melody works with the Children’s Commissioner for Wales. 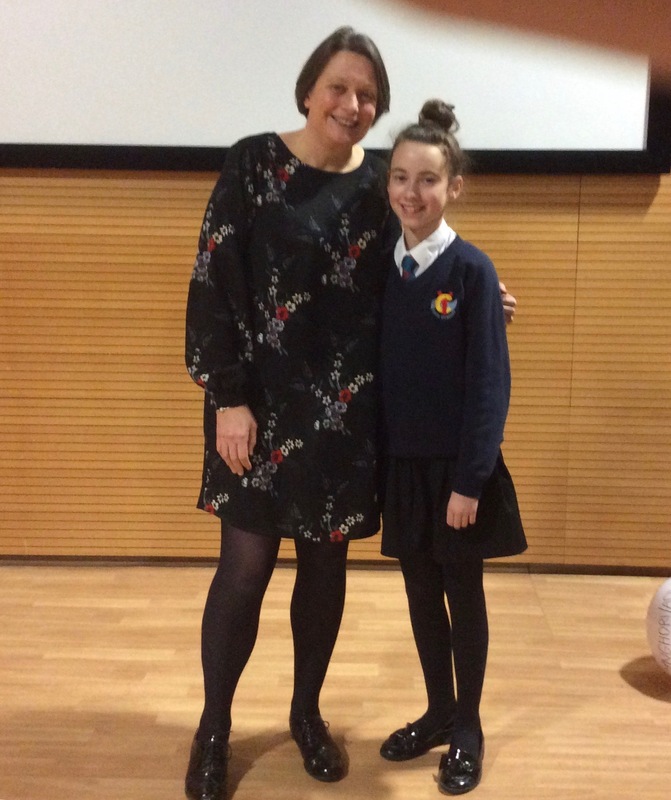 Ysgol Clywedog’s Student Ambassador, Melody attended the Student Ambassador Conference held at Glyndwr University and hosted by Sally Holland, the Children’s Commissioner for Wales. This was an opportunity for Student Ambassadors to meet the Children’s Commissioner and to participate in workshops to help them understand their roles. It was also a great opportunity for teachers to explore how to support the scheme and how to develop a children’s rights approach in school. The workshops included the UNCRC, gender equality and rights, digital wellbeing and The Right Way to Education.